Showing results by narrator "Alicia Witt"
Amber's parents just aren't acting the way she thinks parents should. Sometimes, her dad goes out on dates when he is supposed to be spending time with her. And her mom went to Disneyland with Aunt Pam while Amber was with her dad (not fair!). Then, Mom and Max decide to get married even sooner and move to a new house - maybe even a new town. Some kids seem to have no problems...and that makes Amber Brown green with envy. Amber Brown is one very excited third grader. She is going to visit her Aunt Pam in London! 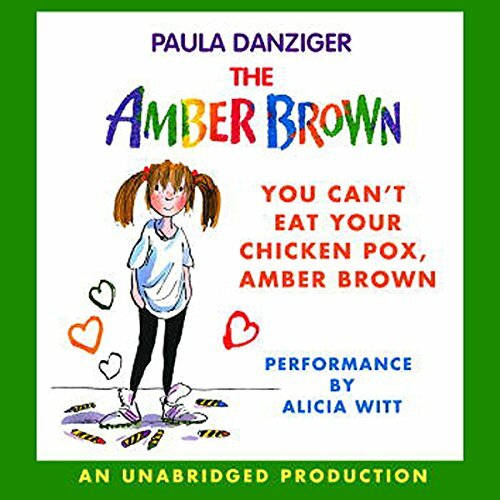 Amber is all set for the best vacation ever - until she gets the chicken pox! Amber Brown is itchy and bored. Is her vacation ruined?